"Oh, Dakuwaqa!" 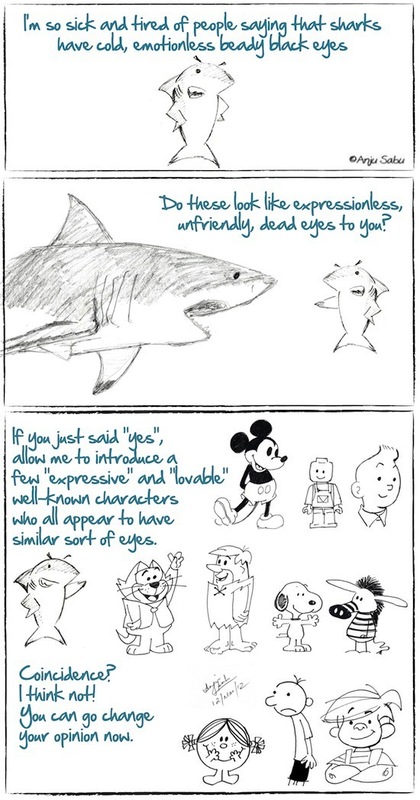 - The Shark comics and cartoons: Are you saying Mickey Mouse looks evil? 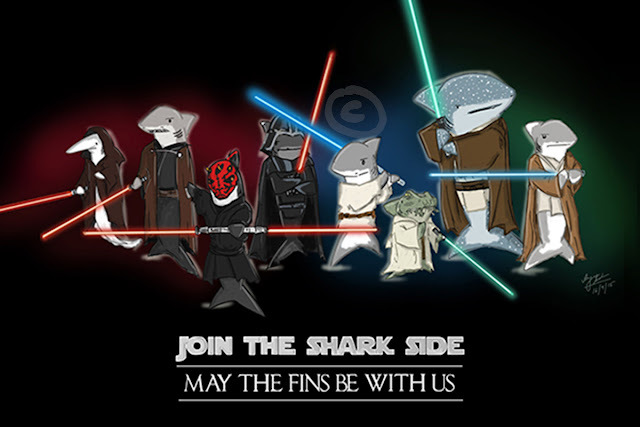 Several people ask me why I like sharks. When I ask them why they don't, some of them have said that it's because sharks have these black dots for eyes which look cold, dead and serial-killery. The comeback didn't pop-up right away because I only realised some days later just how many of the great cartoon characters had such eyes. No one calls these characters scary looking and didn't the new Tintin movie raise some questions about how his humanized blue eyes made him look expressionless when compared to his original black dot (that's right) eyes?